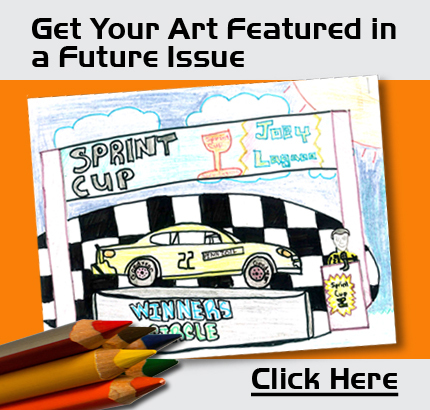 Home / Magazines / Kids Contest: Can you draw NASCAR? Kids Contest: Can you draw NASCAR? Now is your chance to be featured in the first issues of 2012 NASCAR Pole Position. Send us your NASCAR themed artwork – car, driver, track, etc. We will feature the best drawings during the season, and five lucky winners will receive a race jacket of their favorite driver!